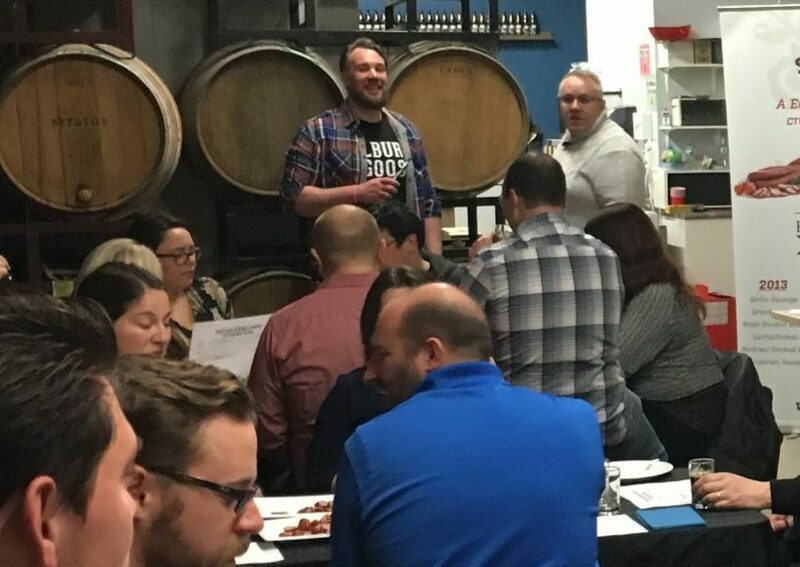 Well, the Beer and Meat Pairing Event with Forked River Brewing Co. last night was amazing! We had a lot of fun, met a lot of wonderful people, and we answered some questions from people about our products. Of course, we also enjoyed some delicious pairings of local brews with some of our best meats, as well! Our Award-Winning Kabanos and Hungarian Sausage were the stars of the show, along with a lovely selection of Dried Hungarian Sausage , Dried Huron Sausage, and Polish Ham Kolbass, and we thought they were combined beautifully with Forked River’s fine products. It was great to meet so many fans of our product, and make a few new ones, as well! By far the best news was that we managed to sell out of all our tickets, since the proceeds were being donated to the London Food Bank. It’s good to know that we were able to help some of the people in our community as well as have a great time. Thanks to everyone who attended, and we hope to see you all again very soon!